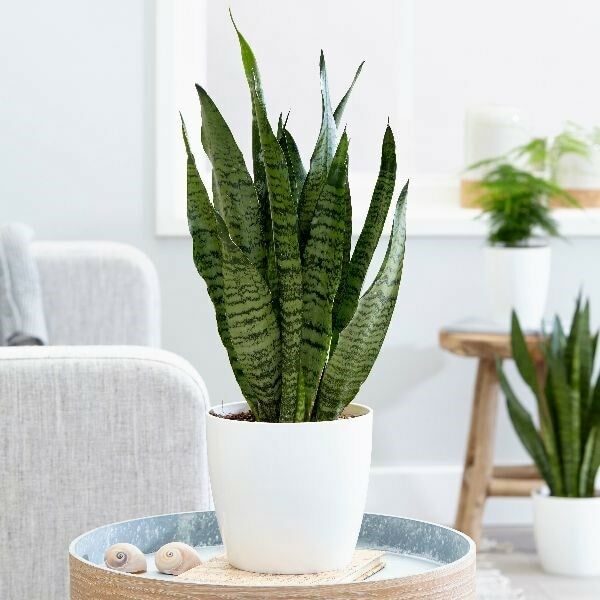 This must be one of the easiest houseplants to grow being tough and near indestructable, yet it is still stylish, simple and loved by interior designers. 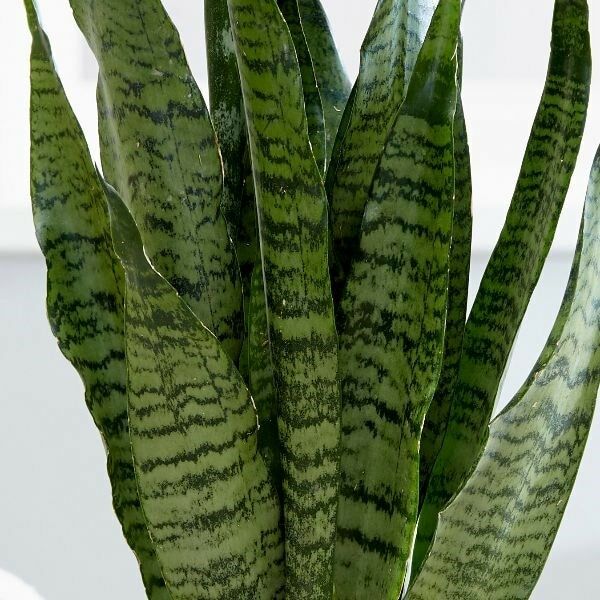 Clump forming with strong, broad, sword-like grey-green leaves which are crossbanded with a darker green creates the perfect plant for a modern home, and our busy lifestyles. Please note that the pot in the photograph is not supplied with the plant (which is sent out in a black plastic pot). They do however make excellent potted plants, and if you wish to pot yours up, we do have a wide range of pots on our website to choose from.